In the last 10 years, vitamin D has moved to the forefront as one of the most talked about nutrients. In addition to improving various health conditions, more and more studies are confirming that vitamin D may play a role in preventing a number of illnesses (including some cancers). Therefore, many are rushing to their local supermarket to buy the vitamin and add it to their daily regimen, as well as, spending that “10 minutes each day in the sunshine’ recommended by various blogs and doctors. Unfortunately, neither of these is likely to actually improve one’s vitamin D levels, and low quality supplements will do more harm than good. Ironically, vitamin D isn’t a vitamin at all. Instead, it is a steroid hormone responsible for a number of processes in the body. These range from regulating mineral absorption, to disease prevention and gene expression. While there are five forms of vitamin D, I will be covering the two most important which are D2, and D3. First, Vitamin D2 is mostly found in plant foods and only has about an 8% positive effectiveness in your body. Unfortunately, this is the form of D most likely found in the majority of supplements on the market. Plus, to make matters worse, D2 is toxic in excess. It causes a softening of the hard tissues and a hardening of the soft tissues in the body. So, if you are considering a vitamin D supplement, do to do your research and avoid synthetic D2. Note: For several years the dairy industry used synthetic D2 in their fortified milk products but has since replaced it with D3. However, if you are drinking fortified imitation milks such as soy, rice, almond or oat, you are still being exposed to synthetic D2. Secondly, Vitamin D3 is obtained from sun exposure or from certain animal foods. If however, you have inadequate levels, it is impossible to increase them through these sources alone and here’s why. 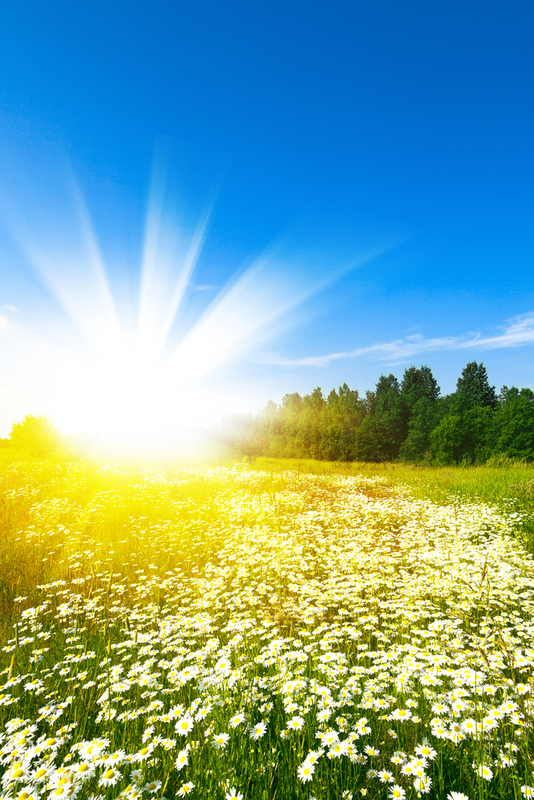 Vitamin D3 is made from UVB rays only, which are weaker in winter months and stronger in the summer. Additionally, UVB rays are stronger as you get closer to the equator and weaker further from it. If you are living in the US and wish to increase D3 levels using sunlight you need to go outside fully naked for 30 minutes a day in July and August; however, as soon as summer passes you will be back to square one. Vitamin D3 is found in insects, fish eggs, fish liver oils ( especially cod liver oil), wild fish, and shellfish; in the fat and organs of birds; in the fat, organs and milk of mono-gastric animals (pigs, bears and guinea pigs); and in the organ meats and milk of poly-gastric animals (cows, sheep and goats). The caveat is that for these animal products to offer sufficient levels of D3 the animals must have lived outside, been exposed to sunlight, and been allowed to eat green grass. Animals possess a unique ability to turn the chlorophyll from plants into D3. This is then stored store in their organs, meats and milk. Unfortunately, in today’s ultra-manufactured food environment we are hard pressed to find meats from pastured animals as the food industry now keeps them indoors and fattens them up on corn, hay and other nutritionless options. The majority of vitamin D supplements you’ll find at your local vitamin store or in the vitamin aisle of the supermarket will only offer you vitamin D2 or a mix of D2 and D Synthetic D2 is more likely to have a negative impact on your health than a positive one. Just as calcium cannot be absorbed without magnesium, vitamin D cannot be adequately synthesized in your body without its cohorts, vitamin K2 and vitamin A. Most vitamin manufacturers are just looking to make a profit without actually considering the synergistic principles of true nutrition. Vitamin K2 – Vitamin K2 is responsible for activating certain proteins. These proteins are responsible for distributing and delivering vitamin D and calcium to where they should be (in your bones). They also keep these nutrients out of where they should not be (in your arteries). Americans are significantly deficient in K2 in addition to vitamin D, as K2 is also found in the meats, dairy and organs of grass fed animals. Some of you may have heard or read that taking a vitamin D supplement can actually be bad for your health and this is true. Vitamin D taken without the necessary K2 can lead to vitamin D toxicity. Vitamin A – Vitamin A curbs the excessive production of vitamin K2 proteins to ensure you have just the right amount. If you have concerns about inadequate vitamin D levels, please find a qualified, trained nutritionist with the resources to test you to find out what you need, as well as provide you with high-quality supplements to get your levels to where they should be. This article was written by Anna Penick, NTP, CGP as a guest blog on our client and friend, Carrie Vitt’s blog, Deliciously Organic.